Souvenir shopping is a must during travel adventures--especially to far off locations overseas to which you may not return. Have you ever wanted to purchase the perfect souvenir--but, hesitated because you just weren't sure how to get the item home? 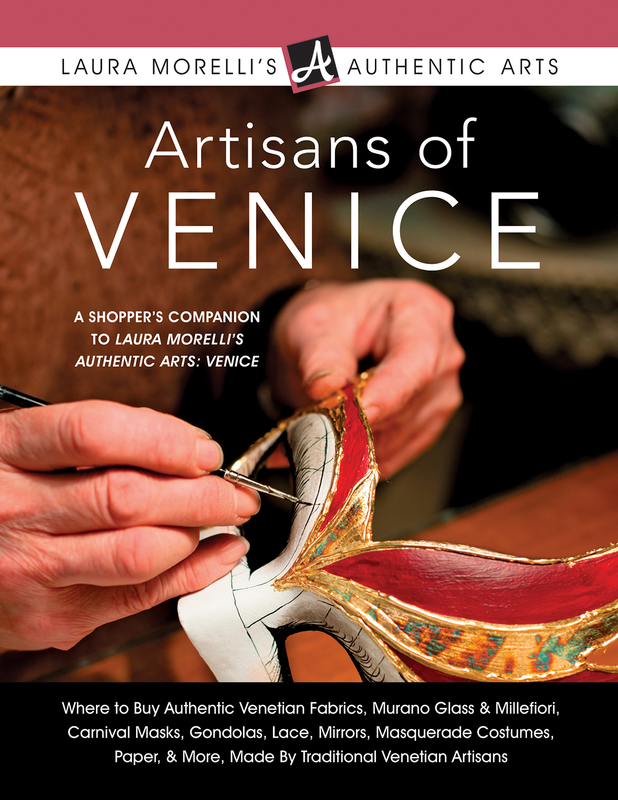 Today, we have a guest post from Laura Morelli, author of Author of Authentic Arts: Venice, A Travel Guide to Murano Glass, Carnival Masks, Gondolas, Lace, Paper, & More, with some helpful advice about shipping souvenirs home from overseas. 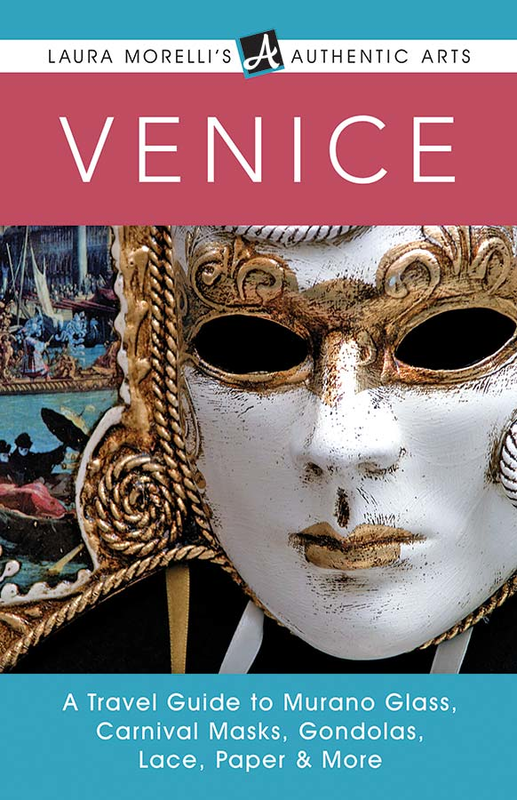 We are spotlighting Authentic Arts: Venice, A Travel Guide to Murano Glass, Carnival Masks, Gondolas, Lace, Paper, & More and Artisans of Venice: Companion to the Travel Guide throughout this post--so be sure to learn more about these wonderful travel guides--and enter to win a book tour prize from the author's giveaway at the end of this post! How will I get it home? This question is important to ask before separating yourself from your money when traveling overseas. There are two aspects of transporting your souvenir that you need to consider. The first thing to decide is whether you will carry the item with you or ship it home. More portable souvenirs like a piece of jewelry or a set of handmade stationery are ideal for placing in your suitcase or wearing on the plane. You may be tempted to transport fragile items like glass in your carryon luggage, but remember that if something breaks, you will not have much recourse to replace it once you’ve boarded the plane. Bulky or fragile items, or souvenirs such as knives that will not pass airport security, may be shipped. I do not recommend using the Italian (or any country’s) postal system, for the simple reason that—even if you’ve insured it—you will not be able to walk down to the post office and file a claim if your package never arrives. Stick with one of the major international carriers such as FedEx or UPS so that you may insure and track your package. Check your carrier’s web site ahead of time to get an idea of shipping rates and times. Some merchants, especially on Murano, are set up to take care of shipping for you. Some even have special packing materials and containers that are ideally suited to protect fragile items. Just ask! Don’t forget to exchange email addresses with the merchant and don’t leave the shop without your tracking number. The second thing to consider is clearing Customs when you arrive home. The Customs Services of most countries post specific regulations on their web sites to guide you through importing goods purchased overseas. Most Americans who travel abroad are familiar with the U.S. restrictions on certain food items like fresh cheeses, wine, and chocolate, but did you know that there are additional regulations related to art objects and items that might be considered “cultural artifacts”? It’s a good idea to check your country’s Customs web site for a list of items that may be restricted or tariffed before you make a purchase in Venice or anywhere else overseas. a Rafflecopter giveaway A little more information about the Carnival masks in the giveaway.. 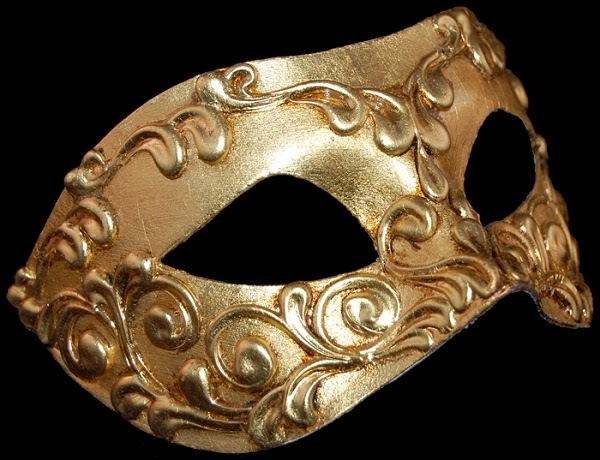 The baùta is the quintessential Venetian mask, worn historically not only at Carnival time but any time a Venetian citizen wished to remain anonymous, such as when he may have been involved in important law-making or political processes in the city. The simplest of the traditional Venetian mask types, the baùta is a stark faceplate traditionally paired with a full-length black or red hooded cloak called a tabàro (or tabàrro), and a tricorn hat, as depicted in paintings and prints by the Venetian artist Pietro Longhi. Most baùte were made of waxed papier-mâché and covered most of the face. The most prominent feature is a distinctive aquiline nose and no mouth. 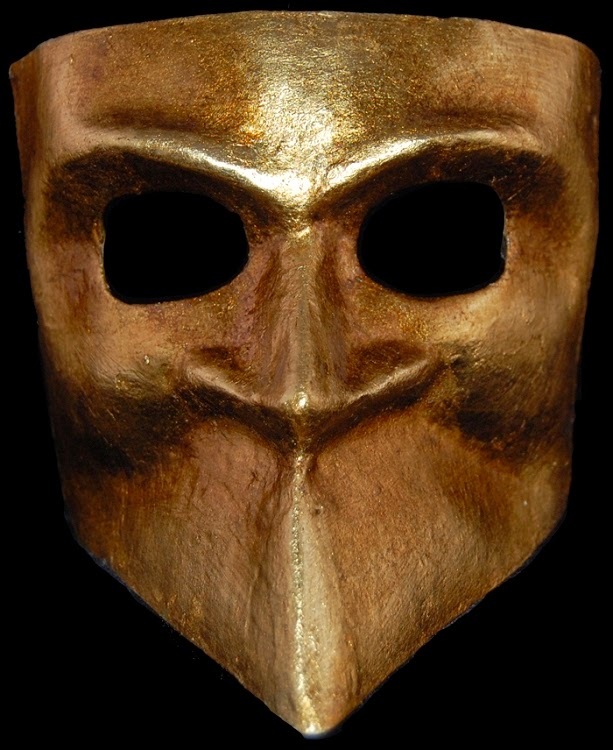 The lower part of the mask protruded outward to allow the mask wearer to breathe, talk, and eat while remaining disguised. 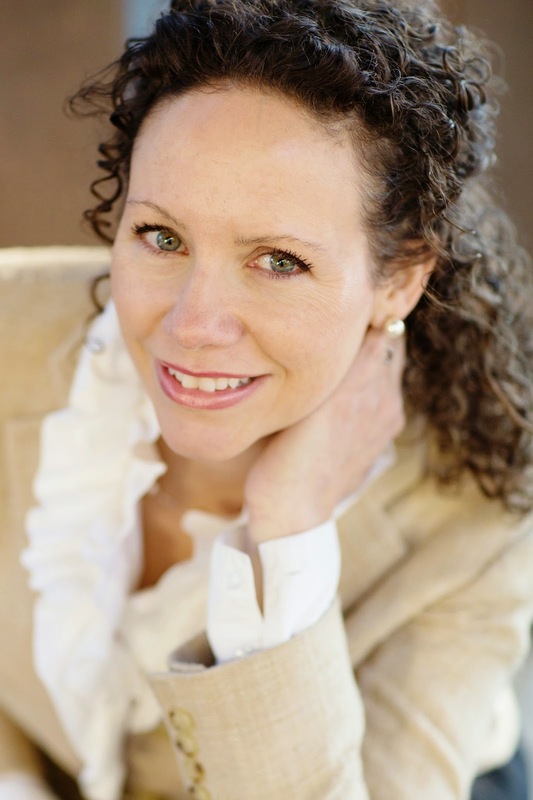 This post is part of a book tour sponsored by Italy Book Tours. Soooo much to love about Venice......the gondolas, the piazzas, the architecture, and more....Venice is probably the most romantic city in Italy..... This is a great post too....enjoyed it. And thank you for the chance to win!